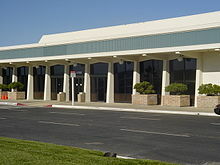 On August 24, 1962, Palmdale became the first community in the Antelope Valley to incorporate. Forty-seven years later, in November 2009, voters approved making it a charter city. 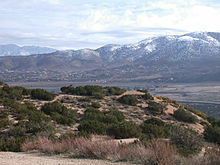 Palmdale's population was 152,750 at the 2010 census, up from 116,670 at the 2000 census. 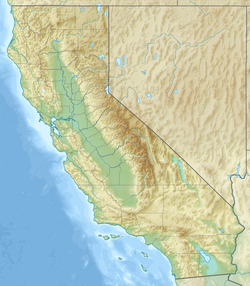 Palmdale is the 33rd most populous city in California. 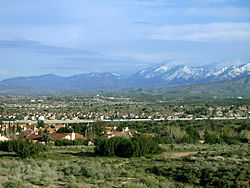 Together with its immediate northern neighbor, the city of Lancaster, the Palmdale/Lancaster urban area had an estimated population of 513,547 as of 2013. By the 1890s (soon after the last of the indigenous antelopes, which the valley was named after, had died), farming families continued to migrate to Palmenthal and nearby Harold to grow grain and fruit. However, most of these settlers were unfamiliar with farming in a desert climate, so when the drought years occurred, most abandoned their settlement. By 1899, only one family was left in the original village. The rest of the settlers, including the post office, moved closer to the Southern Pacific railroad tracks. 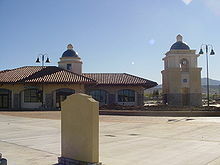 This new community was renamed Palmdale and was located where the present day civic center is. A railroad station was built along the tracks there. This railroad was operated by Southern Pacific and traveled between Los Angeles and San Francisco. 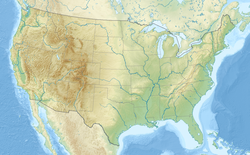 The Wells Fargo stagecoach line that ran between San Francisco and New Orleans stopped there as well. The only remaining pieces of evidence of the original settlements of Palmenthal and Harold are the old Palmdale Pioneer cemetery located on the northeast corner of Avenue S and 20th Street East, recently acquired and restored by the city as part of a future historical park, and the old schoolhouse now relocated to McAdam Park. In August 1956, an unpiloted out-of-control Navy drone flew over Palmdale while Air Force Interceptor aircraft tried to shoot it down with unguided rockets. Many rockets landed in and around the city, starting fires and damaging property. 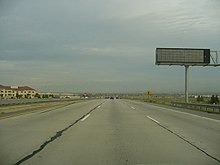 Caltrans only recently began upgrades to SR 138 (nicknamed "Blood Alley" due to the high rate of accidents that occur). Caltrans has had plans on the table for several years for SR 138 and SR 18 to create an east-west freeway between Palmdale and I-15. Due to State funding constraints, however, this expressway will probably not be completed until near 2030 as the planning, design and construction process can take as many as 10–15 years. There has been discussion of creating the High Desert Corridor tollway in its place. There is also a plan to continue the freeway from Palmdale along the southern foothills of the Antelope Valley to I-5 in Gorman. 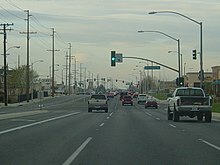 State Route 48 (SR 48) is a planned east-west freeway connecting the Antelope Valley Freeway (SR 14) at Avenue D, the current segment terminus for the western SR 138 branch, to Interstate 5 in Gorman. This freeway is planned to come after SR 138 has its new southern realignment through Palmdale completed, and will follow the existing SR 138 right of way. 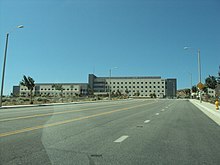 State Route 122 (SR 122) is a planned north-south freeway from eastern Palmdale, passing east of Edwards Air Force Base to SR 58 near California City. 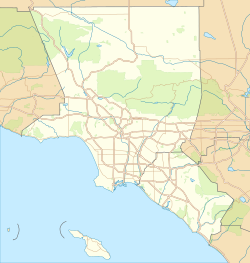 State Route 249 (SR 249) is a planned north-south freeway from southern Palmdale through the San Gabriel Mountains to I-210 in La Cañada Flintridge, near Pasadena. ^ "Los Angeles takes delivery of P3010 light rail vehicle". Railway Gazette. October 20, 2014. Retrieved November 26, 2014. ^ Simmons-Duffin, David (December 23, 2008). "Honda Needs a Tune-Up". davidsd.org. ^ Staff (September 25, 2014). "Palmdale welcomes delegates from sister city". The Antelope Valley Times. Retrieved July 31, 2018.